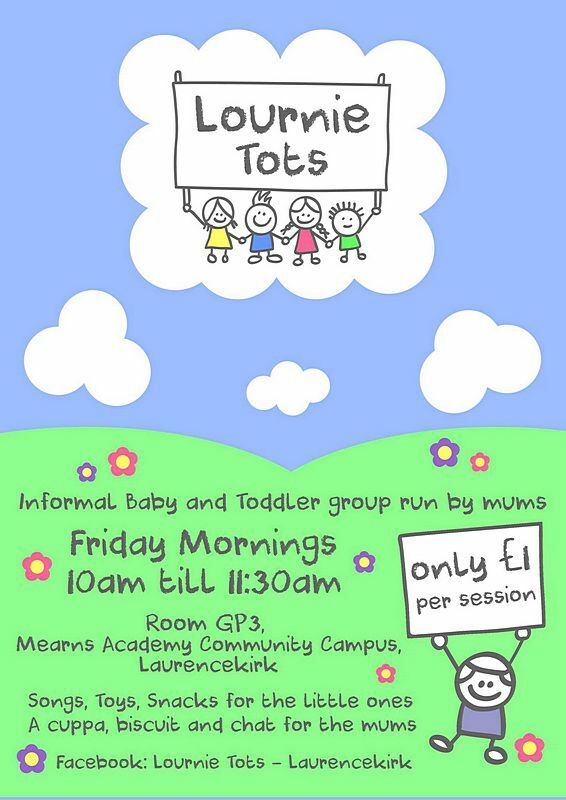 Parent-led Baby and Toddler group. Singing, toys and a snack for the little ones – cuppa and chat for the parents! Relaxed, friendly, informal group – no sign up required, just come along. £1 donation per session to cover costs. Room GP3, Mearns Community Campus.